Elder Flowers - Sambucus nigra. 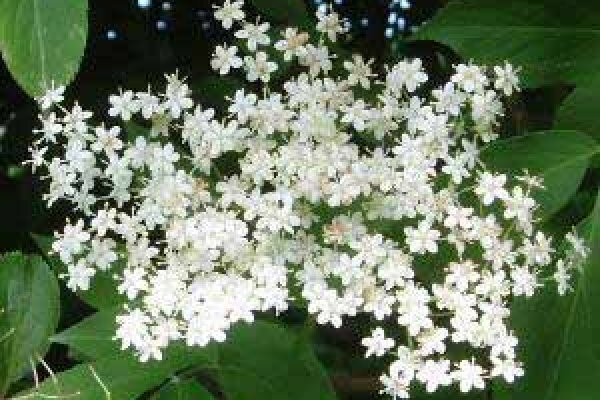 Elder flowers come from the same plant as elder berries and, like the berries, contain bioflavonoids. 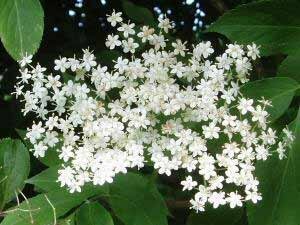 Elder flowers are used in teas, skin care salves, lotions and washes, cosmetics, and to make a soothing gargle.